Nestled among the pine forests of Conroe sit B52 Brewing and Southern Star Brewing Company, two award-winning craft breweries that each boast a wide variety of cold brews and expansive properties perfect for enjoying an afternoon tasting with your friends. The Conroe Brew Pass offers each pass holder a tasting flight of pours at these two venues. Additionally, there are coupon offers available at Southern Star which give you the opportunity to bring home some merch at a discounted price. The 3-Day Conroe Brew Pass is valid for 72 consecutive hours after first use. Must be 21 years old to consume alcoholic beverages. B52 Brewing specializes in taking risk. Their brewery is a lab where they tinker and experiment to develop truly unique, hand-crafted beverages. 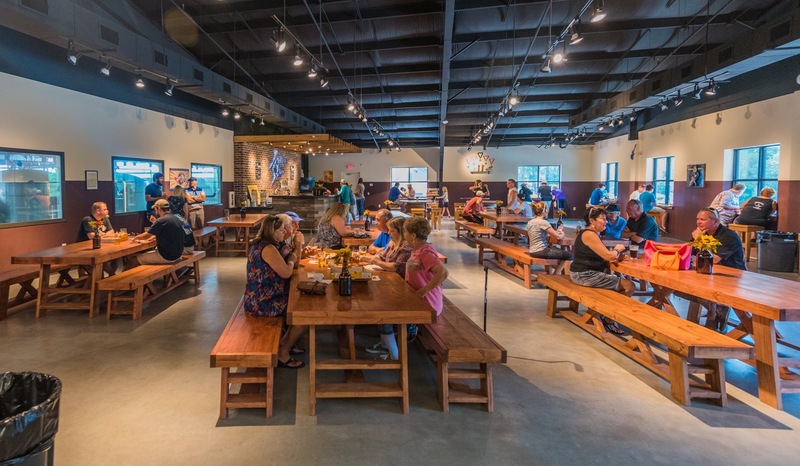 With more than seven acres of outdoor space, and games like ping-pong and horseshoes, the B52 brewery is a place where families are welcome and laughter-filled good times are highly encouraged. One of the Houston region's oldest breweries, Southern Star Brewing Company was the first craft brewery in the great state of Texas to can craft beer. After moving into a new facility in 2016, Southern Star now sits on over 13-acres of wooded property, with an extraordinary tap room to overlook the production brewhouse, an outdoor Biergarten with a live music stage and a disc golf course.